Make sure that your TV is on. If you’re using a separate sound system, make sure that the system and speakers are on. Make sure that all cable connections are securely connected. Make sure that the console settings are correct for your TV and A/V cable. If you receive an error code or a status code when you have the problem, you can search for a solution on the Error & status code search page. If possible, try another cable. For example, connect your Xbox console by using a different HDMI cable and then test again. Note These steps apply only to systems that use optical digital or HDMI audio outputs. Select the configuration option that matches your system. 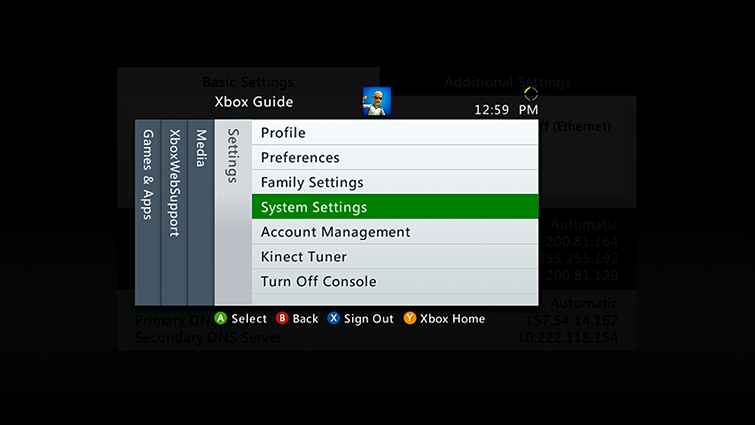 When you start your Xbox 360, your console communicates with the attached TV or monitor. During this "handshake", the display tells your Xbox what features are supported. However, some TVs don't perform this handshake correctly, so your console might not be configured for best performance. Note If you turn off display discovery, you must configure the audio and video settings manually. 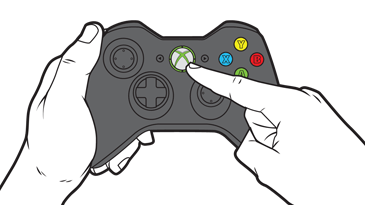 Turn off your Xbox 360 console, and then turn it back on. Test to see if the sound works correctly. Switch between AV sources and inputs on your TV. Remove any devices, such as a receiver, placed between the console and the TV. If your TV has an eco/energy-saving mode, turn off this feature in your TV video options. Unplug all of the audio and video cables (including headsets) from the back of your console. Connect only the HDMI cable to the back of your console. Then, connect the HDMI cable to an input for your TV. Make sure that the sound isn't muted and the volume is turned up on your TV. Make sure that the console audio settings are correct for your combination of TV and cables. Remove any devices placed between the console and the TV. Connect the HDMI cable from the back of your console directly into the HDMI port on your HDTV or monitor. If you’re using an audio-only A/V cable, unplug this cable and then connect the HDMI cable from the back of the console directly into the HDMI port of your HDTV or monitor. Would you like to contact Support regarding the "Troubleshoot Xbox 360 audio problems" issue you were reading about or a different issue?